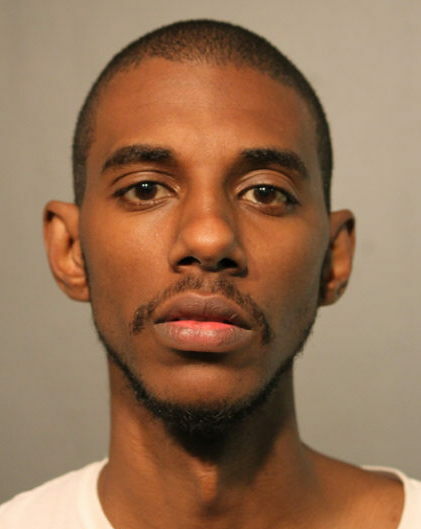 Chicago police are celebrating the “great arrest” of an allegedly armed felon in Uptown on Friday evening. In addition to a loaded handgun, officers recovered a ski mask, hoodie, and latex gloves from the suspect’s car, according to the police department’s Office of News Affairs. Shortly after 10 p.m., 19th District (Town Hall) officers pulled over 24-year-old William Groves in the 4500 block of North Clarendon because his car did not have a front license plate, police said. Officers who approached Groves’ car say they saw a gun case sticking out from under his seat. A search of the car turned up a .40-caliber handgun and multiple loaded magazines, a police spokesman said. In a tweet on Saturday, the district’s community policing office called the Groves arrest "great" and said he had been charged with unlawful possession of a firearm by a felon, unlawful possession of a firearm near a park, and failure to have a Firearm Owner’s ID (FOID) card. Groves was due in bond court on Saturday. Groves’ gun was at least the second that Town Hall cops removed from the streets of Uptown this week. Around 7 p.m. on June 4, police pulled over 27-year-old Matthew Lee for traffic violations near Montrose Beach, according to an arrest report. Cops say two children were in Lee’s back seat and two adults were in the front. When Lee opened his glove compartment to get proof of insurance, police allegedly saw two large green cloth bags inside. Lee admitted to officers that the bags contained a handgun, police said. Officers recovered two green Crown Royal bags from the glove compartment—one contained a loaded 9-millimeter handgun and the other contained 65 rounds of ammunition, according to prosecutors. Lee allegedly told police that he left his FOID cards at home. Lee is charged with possessing a firearm without a valid FOID and possessing ammunition without a valid FOID. He was released on a recognizance bond by Judge Peter Gonzalez.